Carlos Castilla, has been featured as a soloist with orchestras and chamber ensembles, as well as in solo recitals in different cities of Latin-America and the United States. He has worked as a collaborative artist with orchestras featuring stars such as Placido Domingo, James Galway, and Bernadette Peters. Carlos is the co-founder of Duo Guitiano, along with Cuban-American pianist Amanda Virelles, and is known for his innovative technique, clear sound, and soulful interpretations. 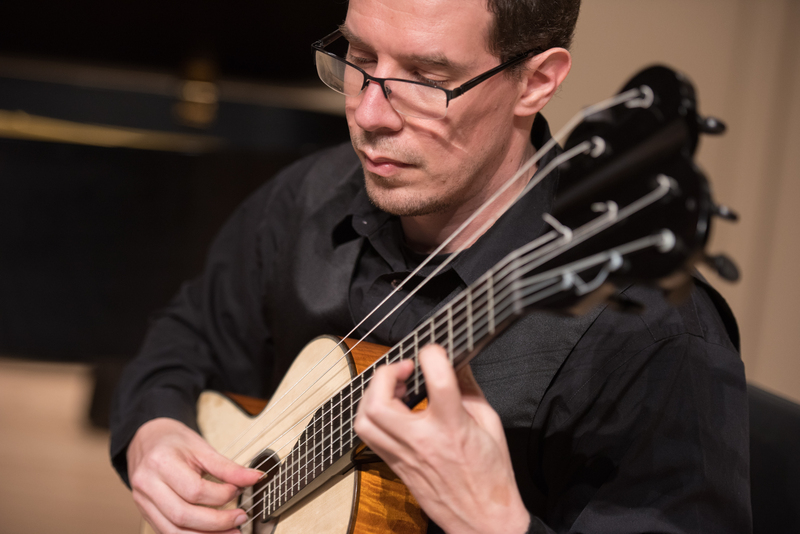 Dr. Castilla holds a Bachelor of music from Los Andes University at Bogotá-Colombia where he studied with Maestro Jaime Arias Obregón, and also holds a Master degree and a Doctorate in Guitar performance and pedagogy from the University of Southern Mississippi, with Dr. Nicholas Ciraldo. Carlos is a devoted teacher and performer and is very active as a recitalist, lecturer, and adjudicator. He is available for recitals, chamber music collaborations, recording sessions, and different types of events. After living in Nashville, TN for the past four years where he taught at Middle Tennessee State University and Tennessee State University, he currently resides in Fayetteville, NC. Carlos currently teaches at Fayetteville State University, North Carolina State University, Coastal Carolina Community College, and runs his private studio.